Very true and inspiring message. Deep and thought provoking- applicable to the vast majority of people. Thanks for writing it. I always knew you had special talents to inspire people! Keep up the good work. You may have been “chosen” because of these talents. I have done this and I have forgiven them through prayer, but what about when that choice to no longer have them in your life affects family around you? And they don’t get it? How do you get past that? I feel I am being true to myself and God understands the injustice that was committed, but am I suppose to sacrifice myself for others sake? Sometimes the choices we need to make for ourselves can be very unpopular; especially if the people around you cannot understand your choice. Only you can decide what is healthy for you. You need to try to explain it to the people around you and hope they will understand. I have done something like this in the past and although I never tell anyone they have to like or agree with my decision, I ask that those around me understand and respect my decision. Please do not put pressure on someone by demanding they forgive you. Confess that you know the hurt or pain that you caused but asking someone to forgive you and putting it back on them to do so is not right. I am “the other woman”. It hurts to even say that, but its true. We both have committed adultery and ask for forgiveness daily. A Pastor had made the comment that we will not make it, the world around us will crumble. I’m not sure what to think about that. For the past 6 months I have been in turmoil, trying to find out a way to solve a personal problem with a very close relative. I have been very angry, confused, hurt, and felt very used and cheated by her. Deep down in my heart, I came to realize only recently that the only way I will be able to move on with my life and with “myself” is to forgive this person. But I also realized that I needed to have her out of my life too… a very difficult decision, also making me feel terribly guilty as she is family. Then, out of the blue a notice appears on my facebook page and gets me reading on this topic… it could have been me writing these articles as they are so spot on! Thanks Elmer for your words ,… they have come at the right time for me…doesn’t the Lord move in “amazing” mysterious ways. Thank you! Last year on May 7,2009 my 31 year old son took his life. His father went to his house and found him.We had talked to him about so many things in the month prior to his death. He told about about his wife and her boyfriend, he told us about someone putting something in his drink on April 18th less than three weeks later he was dead. He told us about the diarreah and that he couldn’t urinate the day before he died.He held his stomach when he walked because he was in pain. He told us that on the 4th of April he had an arguement with his wife that the medication she was on called Adderall was not good and he thought she should get off of it (he looked it up on the computer and it is like cocaine). We talked to the prosecuter and he wanted us to tell the investigator so we did, they said we would know more when the toxicology test came in.So we waited we were expecting an investigation so was the investigator and the prosecutor.On September 2 2009 we received a phone call from the investigator, she said the medical examiner did not even do a toxicology test.His wife had him cremated right away and she took his ashes and scattered them in many different places, we could not even test anything, there was no body to get blood, there was no body to test for drugs in his body. There was no ashes to even test.She discarded evey trace of him. we had to deal with the death of our son, we have had to deal with suicide, we have also had to deal with the fact that she was a major cause of his death, if she did put a drug in his drink, maybe the Adderall that our son wanted her to get off of.I have to forgive, because I was forgiven, because I will stand in front of my Lord one day and I want to be right with Him.So I had to choose to forgive her. Butterflywings, Thank you for your In-Put, it’s not The For- givness, Braking The Trust…;(… By4Now! So true….one day at a time…. I am a person who has been told I have been “forgien” for things that hurt my child terribly many years ago, but which my child cannot forget. As a result, my child has shut me completely out of her life. She was molested by her step-father at the age of 6. I was 26 at the time. I had made many mistakes prior to the molestation, including 3 other marriages from age 18 to that time. I was raised in a very dysfunctional family, and had no real guidance or love by anyone. At the time of my daughter’s molestation, I had so many things running through my mind that I didn’t know what the right thing was to do. I wanted to kill the molester, and at the same time, I wanted to protect my child. I called my minister for guidance, and was told to stay with him, just see that he got help, and don’t leave my child alone with him. My then husband left and entered a VA hospital, telling them he felt he had no reason to live. I found out later he never was treated for the abuse of my child, and his entering the hospital was merely a way to keep from being arrested and prosecuted. After he was released from the hospital about three months later, he came home. I never left my daughter alone with him again; however, I did not find out until after I divorced him some nine months later, that when I would go to bed and go to sleep (I was, and still am, a very sound sleeper), he would get up and go into her room. Our divorce occurred after he started bringing Hustler magazines into our home and I caught him in an affair with someone with whom he worked. Upon going to my attorney for the divorce, I asked if we could prosecute him for his molestation of my daughter. I was told it would not be advisable, because the events had occurred a year earlier, and it would not be good for my daughter to have to relive those events on the stand in a courtroom full of people. (Bear in mind, I was not aware at this time that the molestation had been ongoing). The divorce was finalized and we went our separate ways. My daughter blames me for “defending” him, which I did not in any way do, but she feels I did for accepting him back into our home and for not prosecuting him at the time of our divorce. She also blames me for not knowing the name of her biological father. She believes I should be able to remember his name (which I have tried to remember, but cannot because I have never been good at remembering names, and the man who could be her biological father and I only dated a few times. My daughter says she has forgiven me, but cannot forget, and does not want anything to do with me. Further, she and her husband have discussed these things in front of and with their children, poisoning them against me. I have tried to talk through this situation with my daughter to no avail, and she has broken off all communication with me. I totally understand her anger and bitterness, and I have apologized and asked her forgiveness many times, and made every effort possible to reconcile. I have accepted my responsibility in allowing this molester back into my home to continue to molest her, and for not being able to remember the man’s name who could be her father. She has continued to punish me over the past 34 years for these things, and cannot understand that I am not that person any longer; and have not been that person for many years. I desperately want to reconcile with her and have at least a civil relationship with she and my grandchildren and be able to visit with them. She is my only child. I know I have been forgiven for any part I had in her pain, and I have finally been able to forgive myself. However, I do not feel that she has been able to truly forgive me and give her pain and anger to the Lord rather than holding onto such bitterness from now on. I am no longer deserving of it, and had no actual part in her molestation. I have even offered, and tried, to locate her molestor hoping that if he is located he could be prosecuted and I would be more than willing to testify on her behalf if it would help her to heal and to realize that I am not the one who did the molesting, nor did I permit it, nor did I defend the molestor in any way. I did not know, and when I found out, I tried to seek advice wiser than my own, and when I filed for divorce, I had no idea the molestation had been ongoing. I would to God that I could go back and change all that happened, but I cannot, and apologizing is all that I can do; however, she has chosen not to accept my apologies, which to me equates to not forgiving me. I wish I had someone to intervene, and counsel both of us, but she will not agree to do so. I feel she will never truly have peace until she is able to work through, and leave the past in the past, and truly forgive. We COULD have a good relationship if she would only let go of her bitterness and anger directed at me, and give those things to the Lord. She refuses my calls, will not answer her door, and I don’t know if she would read a letter or not. What, if anything can I do to initiate reconciliation? I have been hurt very badly by someone who was supposed to love me. It hurt me to the very core and has broken my heart. I have been obssessing about it constantly. I look for this person all the time. I go to where he might be. I do not make any contact at all. I scream to myself how much I hate him for this. I have shredded his pictures and cursed him continually. But at the same time I love him and miss him, but realize it is over. I didn’t know if I could get past this and move on, but after reading this I see how I have to forgive him and move on with my life or I will continue to feel pain and hate forever. Forgiving doesn’t mean I have to be with him again, but I have to let it go and I see this is the right way. Thank you so much. Thank you God for showing me this site. It was the answer to my prayer. I believe that forgiveness is good, i remember the saying to make your enemy your footstool, however , I suffer at times especially when we are older and people can falsely encourage others that we love. But I forgive others regardless of the pain that I suffer! it is better to forgive and to do better and sometimes when you do the weights come off your sholders and lets you breath again…You must forgive to move forward…above is right. It’s been difficult to forgive a brother of mine. We both did and said some very hurtful things to each other. He has a mental disability (bipolar) and can be very violent at times. I am working on forgiving him. It matters not to me if he forgives me. I’m the one that needs to work on my feelings about him. Just about the time I think I have reached that point, he acts up again, posts very hurtful things to me, threatens to kill me. This is part of his mental illness and I truly believe he’s just ‘venting’. I have had to get a PPO on him to keep him from seeking me out. At this point, I feel mostly indifference towards him. Is this forgiveness? I don’t really know. But I’m working on it.. I love everything you write..your writing always has something to do with my life. I am in total agreement because if we fail to forgive someone we are held prisoner until we let it go or until it drives us insane. Thanks for writing that on forgiveness although I have not found forgiveness yet for the one I love and who took all my savings I do feel somewhat relieved that maybe somehow god is trying to help me, I almost feel that you wrote this for me and for the hell I have been and am going through for 3 months now…..all at one point will be forgiven but still need some time to think more…..thanks for your inspiration for me and everyone. This was truely conformation because God delt with me on this today continue to let God use you. Thank you for this, and you are right. The only way we can move forward is by forgiving. God forgive’s us so we have to forgive each other. We have been forgiven by the Lord of more than we know! To forgive is not easy for us selfish and self preserving humans! I believe that there is a road that leads to not only forgiving and the harder part of forgetting, but to healing and restoration back to what God intends for us. I believe that the road to get there is determined, purposed, humbling, sacrificial, painful and prayerfully obediant to the whisper of god to our daily journey there. Some people choose to forgive and reconcile rather than cut the ties. In this situation Forgiveness is very powerful because the enemy wants nothing more than to see division and confusion in relationships. If God gives you a spirit of reconciliation follow that spirit and not the status quo. 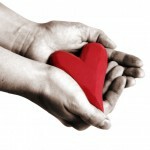 Giving & Forgiveness Is A Part Of Your Circulation Of Abundandance From God. On forgiveness; Matthew 5:23 [KJV] Therefore if thou bring thy gift to the altar, and there rememberest that thy brother hath ought against thee; Leave there thy gift before the altar, and go thy way; first be reconciled to thy brother, and then come and offer thy gift. If we don’t forgive men their trespasses, Our Heavenly Father will not forgive us. Also, if we keep holding on to unforgiveness, it will be as a canker sore, it will eat and eat on us and a root of bitterness will spring up and our relationship or whatever will never leave us. Beautiful article.I too have been hurt by my now x husband.We were married 6 years. Then he didnot want to be married anymore.He gets another lady to move in with him.She left her marriage to be with my husband. I am healing but yes it truly takes time and Gods Help to guide us. I am slowly learning and each day i grow with Gods help. Keep the good articles coming we all seem to enjoy them. I have been hurt so many times by my children. But I have learned to forgive. Only this past year one of my grown children had delivered a baby, and not only that but had to undergo surgery for bowel obstruction. In the past year I have been helping her with the baby, which is my grand-daughter. And now that she is one year young, she yells at me, she is abusive at times to me and not only that but yells at her daughter, which in turn hurts me to see the little one shake from fear when her mother does that. I too have told her she needs to leave my home and find another place, and soon. I can not take her making me feel oppresive and always wanting me to stay in my room. I have told her while I am paying the bills I am in charge. But deep down the little one tugs at the strings of my heart. I have asked for forgiveness for my bad example as a mother not being there for her at times, but I need to remind myself I can help her if I have the time, and when it is possible. Thank you so much for the article that you wrote. I have found that forgiveness is not an option. God says we must forgive if we want to be forgiven. This is in the scriptures and when I did forgive I really didnt want to but it was right with God. I did and still do feel free from this hurtful situation, but the enemy tries all the time to sneak back in there and stir things up. Its up to us to deal with him and remind him that God has taken care of that problem and to hit the bricks and leave us alone. Ephesians 6 says to put on the full armor of God and the enemy cant touch us with his burning arrows. Now i can laugh at him when he tries to sneak back in, and tell him to go in jesus name. It really works. D.Webster. This is a very good write. I enjoyed it. The real trick now is HOW to forgive. I hope that is the next thing you write. a hard pill to swallow sometimes, but great advice…thank you Elmer for writing bold and truthful advice! Now if I can be so bold to follow it and be free from some hurts (unforgiveness) in my life…God, please give me the strength I need to make my amends. Forgiveness is an awesome thing to do for yourself! Great healing for the heart, body, and mind. True forgiveness takes a lot of work, but is a lesson well worth learning. I must say, some hurts are harder to overcome and find forgiveness for than others. With God, all things are possible. I read a great book when I was dealing with a lot of hurt from several people. It helped me to understand forgiveness, and the importance of it. The book is title “Love” by Leo Buscaglia, full of powerful words and wisdom. I recommend anyone dealing with hurt, and forgiveness seems to be an impossible task, read this book. And always remember to pray, pray, pray. God always hears us, and never leaves us……. Nice Article. I have been goin’ thro’ alot lately. A close friend went silent. I have no idea wot is causing the rift. She’s cut all communication en does note pick or return my calls/sms. I have tried seeking clarity from her on what might have gone wrong but she won’t say anything. I feel so hurt that she’s not open to me. Should i forgive her en move on without knowing what i did wrong to cause the drift? I too have been deeply hurt to my soul by my soon to be ex husband. We were married for 28 years and 17 years of that time he says he was miserable and unhappy but still chose to live life as if everything was great or bearable I should say. All the while we (I thought) were building our life. Raised 2 sons and when our nest was empty I found out he had been cheating for years. I thought and still believe he was a good christian man but the woman he is with is evil and thus creating evil in his life and blinding him to what is right in the eyes of God (lust). They both adamantly deny that they have a relationship but all sightings of them together say otherwise. I will never, ever be convinced that they do not have a relationship as he admitted to me that he had feelings for her. I constantly struggle with the hurt, anger, hatred, evil thoughts, etc. that this has brought into my life and while I am a born again christian, I feel I am the farthest away from God that I have ever been. I desire your prayers for healing and strength to forgive as I cannot begin to fathom this yet but I know God is in control and I will overcome this!